Breakfast really is the most important meal of the day, since it’s the first thing you ingest before heading to work or to school. Make the most of your morning meal with our tips for what to eat to boost immunity and stay healthy. Best of all, these breakfasts are as simple to prepare as they are good for you. New York Times bestselling celebrity nutritionist JJ Virgin, author of The Virgin Diet, shares seven healthy breakfast ideas that will keep you going until lunch. A blender can be your best friend when it comes to putting together fast, healthy breakfasts. Virgin suggests starting with a plant-based protein powder and then adding kale or other raw, leafy greens, frozen raspberries, freshly ground chia seeds or flaxseeds and unsweetened coconut milk for a healthy and delicious breakfast smoothie. “The combination of protein, healthy fats, antioxidants, fibre and immune-boosting coconut is your best morning bet to boost immunity,” she explains. You can switch up the type of greens you use (try spinach or Swiss chard) and experiment with other berries or fruits to keep from getting bored. One of the most versatile breakfast foods around has to be eggs — you can poach them, fry them, boil or scramble them and add any number of other ingredients to complement them. Better yet, they’re really good for you. “If you don’t have an intolerance to eggs, they make an immune-boosting start to your day with sulphur and other nutrients,” affirms Virgin. Sulphur is not often mentioned as an important nutrient, but it has many benefits to the body, including boosting the immune system. 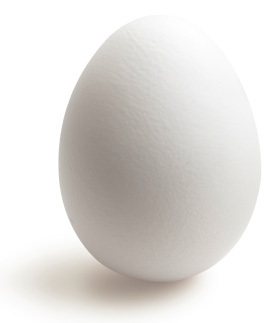 Eggs are also a great source of protein and B vitamins, along with containing folate, selenium and iron. 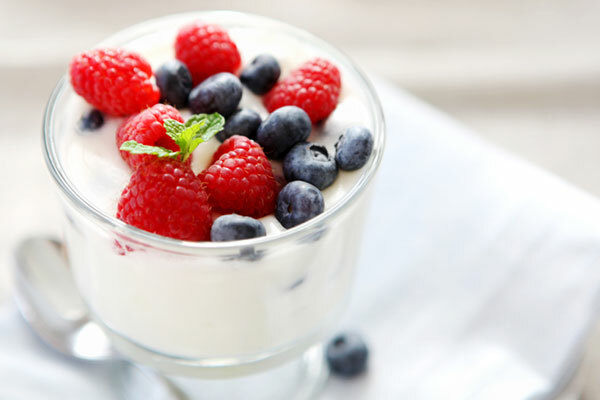 Create a simple but satisfying breakfast by combining yogourt and berries. Choose unsweetened Greek yogourt, and add frozen raspberries. Add a drizzle of honey for sweetness if you need it. “The combination of healthy fats, protein, fibre and antioxidants make this the perfect immune-boosting breakfast,” Virgin says. You can also add chia seeds, hemp seeds or even raw walnuts to further increase the immune-boosting power of your breakfast. Virgin suggests thinking outside the breakfast box and having salad as a healthy, immune-boosting morning meal. Her pick: grilled chicken, sliced avocado, onions, tomato atop kale or mixed greens and drizzled with oil and vinegar. Replace the chicken with hard-cooked eggs, tofu, salmon or raw nuts, depending on how you’re feeling. Make extra salad with dinner, and pop it in the fridge without dressing so you have a ready-made breakfast when you get up the next morning. You might not think of wraps as a conventional breakfast, but they’re a snap to make and can be filled with any number of healthy ingredients. “Turkey and sliced avocado wraps are easy and fast, with immune-boosting protein, healthy fats and fibre,” notes Virgin. Make a batch the night before so the whole family has breakfast ready and waiting. Whether it’s something you make on a weekend morning when you have time or it’s leftovers from the night before, the combination of salmon and spinach is a powerful one when it comes to boosting immunity. 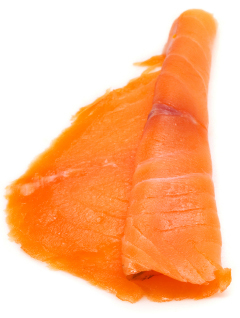 “Anti-inflammatory omega-3s, protein and fibre provide a triple immune boost for your morning,” Virgin says. You can also create an omelette using leftover salmon and spinach to give the dish a more traditional breakfast feel. No time in the morning? Welcome to the club. But there’s still a way to squeeze in a healthy breakfast that won’t waste time. “Celery slices with almond butter is a great combination of healthy fat, protein and fibre that’s super easy and works well on the go,” suggests Virgin. What are some of your go-to healthy breakfasts?